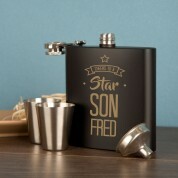 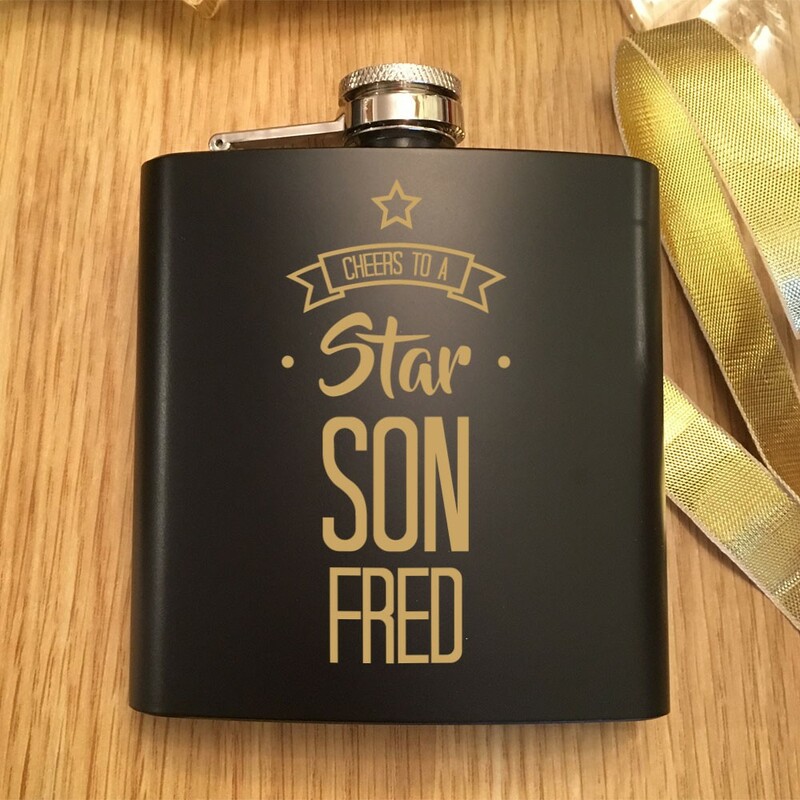 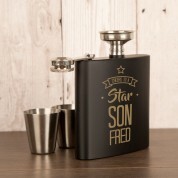 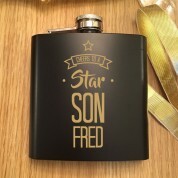 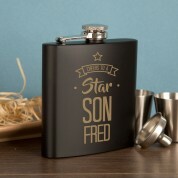 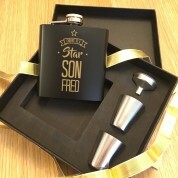 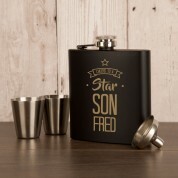 Surprise your son with this wonderful personalised hip flask gift set. 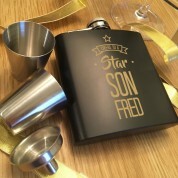 Laser engraved with his first name and a message that reads, ‘Cheers to a Star Son’. 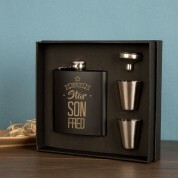 This set will make the perfect set for any son. 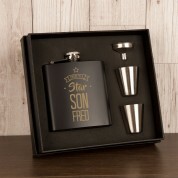 And it is presented in a beautiful black presentation box along with two measure cups and an easy fill funnel.